A good business in Singapore has to regularly renovate its office in order to maintain its growth. Office renovation should be seen as a great way to improve and refresh the looks of a company as well as its operation. When you are thinking about office renovation, many considerations come in to the picture. Designs, layouts and professional advice come in handy to create a great new office place. Being fashionable in the office is a thing of consideration, if your business has to grow. The design of the floor in your office is among the most important thing in the project. The most expensive carpet and even tiles would fade with time and even wear out and require replacement. When it comes to office renovation, it is definitely good to renovate tiles and carpets as this brings fresh environment. Though it cost a significant amount of money, it is worth replacing. Changing your office wall sticker or a applying afresh spray of modern paint would bring new life into your office. The walls of your work place can play an enormous part in determining your office environment. Changing the color of your office is of great importance to match the color trends of the premises. Depending on the theme of the work place, one can paint different colors for different parts. Overall appearance of the walls can be changed by adding decor and wall arts. Daily use of furniture can wear them out. If you are changing the overall picture of the office do not exclude the furniture even if they are not fully worn out .The idea of renovation should include replacement of stained and ripped fabrics. One should not hesitate bringing in a new set of furniture if the renovation budget permits you to replace and refurbish your work place. If your budget is tight, then simple mending of furniture or even reupholstering of materials can come in and this will also make great impact if done well. One should get a professional interior designer that will provide sound advice on the work place layout if changes are needed. There are many styles that one can implement and rearrange the office furniture and bring out a more beautiful working place. Office appliances can be put in divided partitions of the office for different reasons. One can make use of unused space by arranging furniture economically and putting cubes in the office. If you use less space it means less coverage and it will need less maintenance cutting down the cost. Unused space should be used as a store or rented off to be used by others who need the space. 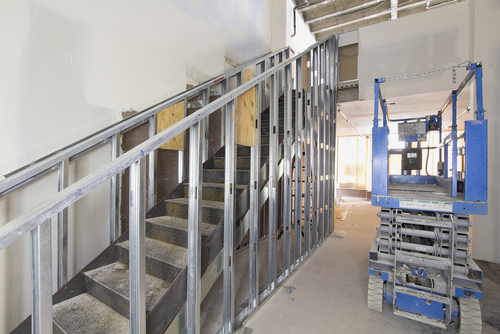 Office renovation must not be negated or assumed to be an expense that can wait. Companies that repeatedly renovate their premises increase their sells and get good reputations from their clients after refashioning their work place. One should look for a qualified interior designer that will recommend designs that will bring harmony and effectiveness in the office. Budget: before renovating your office you need to allocate money that will be used in the renovation .One should ask themselves how much you are willing to spent on the work place renovation and if it is worth the renovation. Fit outs and design cost: This can be allocated depending on the interest of the owner of the office and the fittings you may need to install. You can get the affordable brands of furniture that would best fit in your budget. As for designs there are great designs that can make your office outstanding at affordable costs. Moving costs: If you will need to move or relocate furniture from one place to another then this cost has to be included in your budget. That will be important too if you will move your furniture temporarily to a new place to allow the office to be painted and also in the renovation of the floor. Bringing the furniture back when the office will be renovated is also another cost that must not be left out. Renovation time: During this time one should make sure the company business is not affected so much. Choose an appropriate time when you do not have much work. Ensure the time is not too long as clients may think your business is closed down. Put a polite notice to your client informing them about the renovation. Type of renovation: Establish if you are doing a full office renovation or partial renovation. With full renovation more time will be needed as well as more resources both human resource and financial resources. 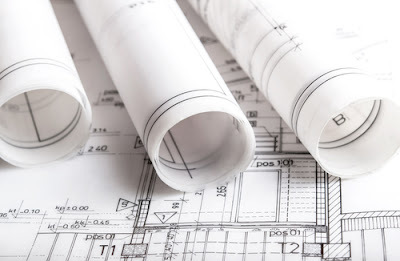 This call for a detailed budget but with partial renovation little time will be spent as well as finances .One can opt to do either according to the budget allocation on renovations. Successful office renovations require planning. However one can encounter few challenges. These may include lack of the required designs, contractors that are not qualified and may not give outstanding work, the cost of renovation may rise above the desired budget, and also the themes painted May not came out as the office owner wanted. These few challenges cannot surpass the many tips of office renovations that are mentioned above .If you leave in Singapore get the best interior designer that have experience in this field. Office renovation is a good investment since it improves the appearance of the office. You will need to renovate your office when the company has grown and more space is needed. This renovation is perfect option to accommodate more work staffs and create new workplace environment that will reflect and fit the growing company. Clients sometimes are choosy and may not like squeezed and shabby offices. If you target young professionals style and design is a must. There are many business solutions that will be solved by taking a step to renovate your office. Many Singaporeans have taken this option instead of vacating from an unattractive office to new premises since this always brings down businesses. Planning for every space you have and utilizing it effectively can add more value to your business.